You’ve heard him sing Channo! You’ve seen him dance on biggest Bollywood movies. 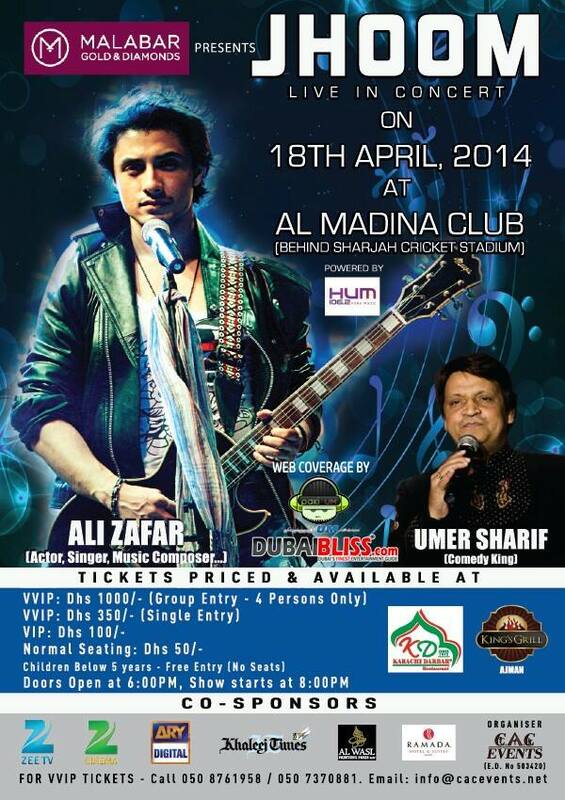 And now, Mark your calenders for the hottest event in town by the singing sensation ALI ZAFAR on Friday, 18th April 2014. Brought to you by Malabar Gold & Diamonds, this event is a pure package of entertainment for full family. Also, featuring is the comedy kind of Pakistani ‘Umer Sharif’.